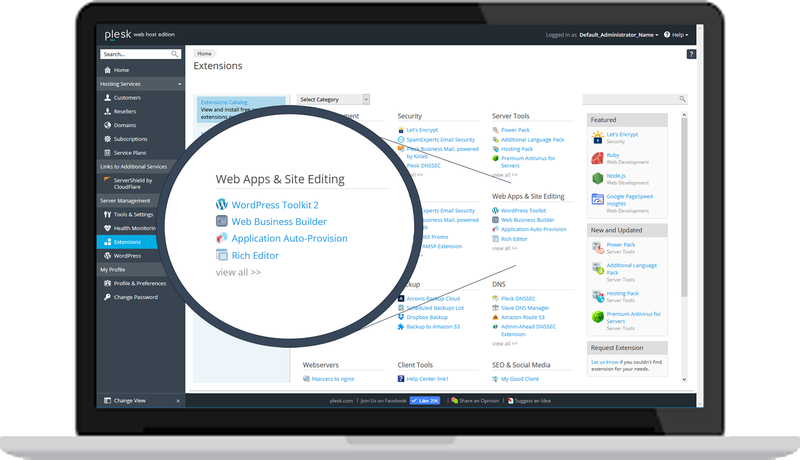 Featuring full support for Node.js, Ruby and Python, Plesk Onyx is the ultimate platform for modern application and web development. Bridging the gap between your Docker dev and production deployment, Plesk Onyx allows you to connect and manage your docker containers through an easy to use interface. Easily deploy your site by either pushing it to a local git repository or by pulling it from a remote repository like GitHub or BitBucket. Easy, automated SSL generation and installation in only two clicks. 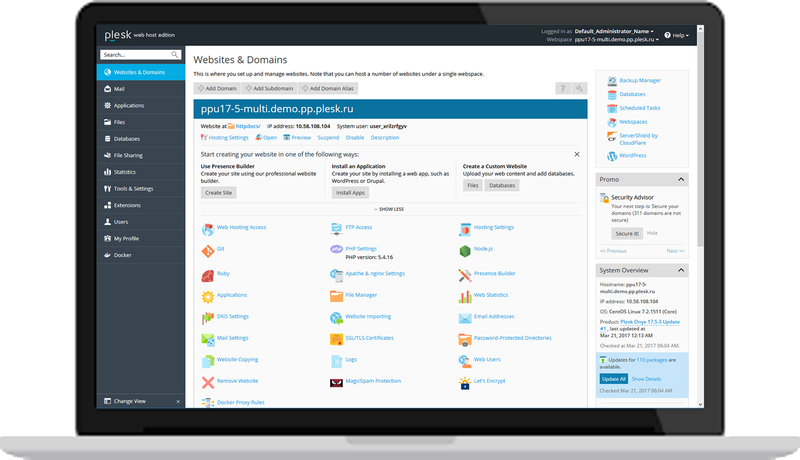 Secure Plesk and all sites instantly. 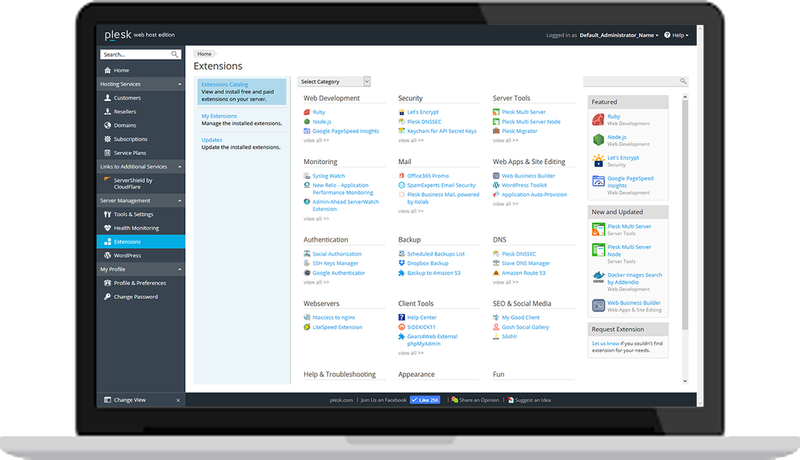 Secure your WordPress install with the WordPress security hardening tools. 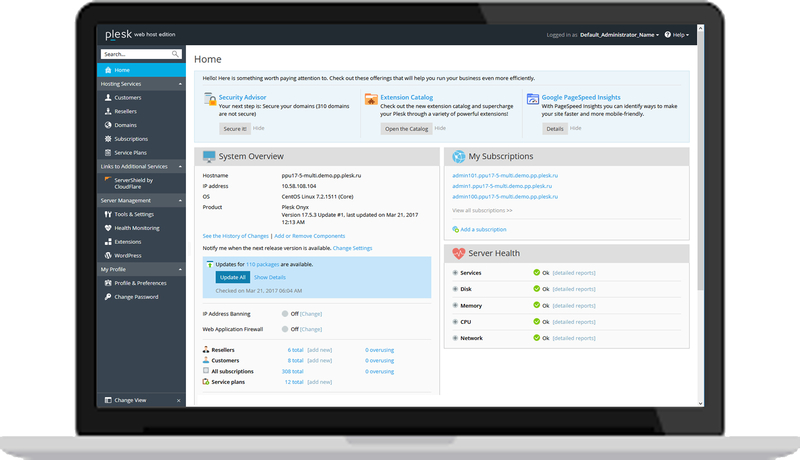 Manage all your WordPress instances from a central interface, including the ability to update WordPress core, plugins and themes. Instantly clone your WordPress installation to a development or staging site to allow you to work without affecting the main site. Syncronise a staging site and instantly copy back any changes which have been made. Perfect for a team of web developers or small digital agency.